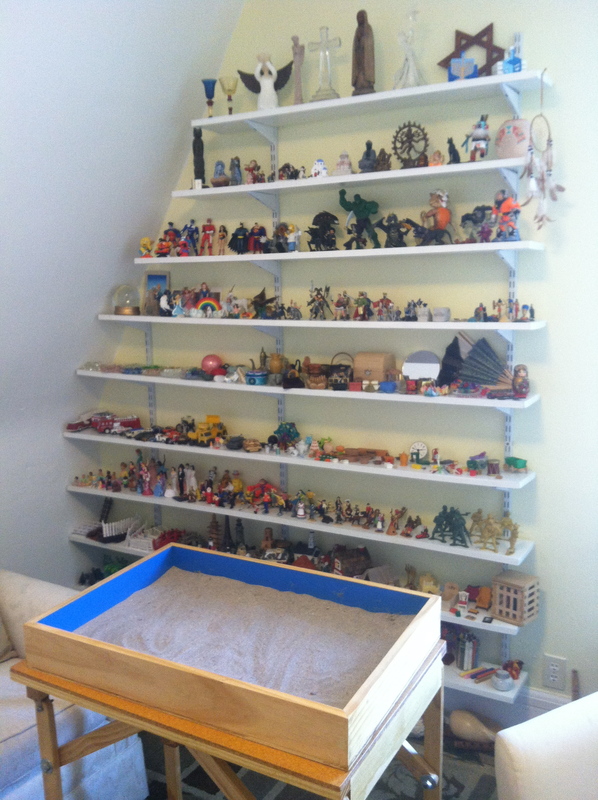 Sandplay therapy is a Jungian method which offers the opportunity for clients of any age to use their imagination. Miniatures are placed in sand to create images or tell stories. In a fun, non-threatening way, symbols can put us in touch with parts of ourselves that we don’t know very well. This creative process is a great means of self-exploration and expression. Though originally developed as a way to reach children, Sandplay can also be extremely effective with adults. Because it is non-verbal and symbolic in nature, it moves directly to the unconscious. This can be very advantageous as it allows us to “get out of our own way” or experience things rather than rationalize and analyze them. Sandplay is experienced through the mind and the body and can be very effective in healing trauma. have seen clients use Sandplay to discover things about themselves, to make shifts in their behavior and to change their perspective. Sandplay can be an important way for a client to experience parts or him/herself that may be scary and avoided under other circumstances. This experience can be helpful in their journey towards feeling whole.